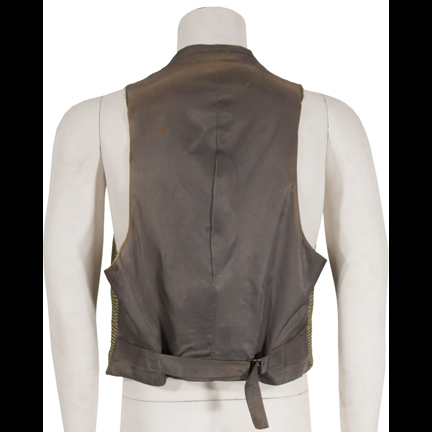 This screen used vest was worn by the character “Pork” portrayed by actor Oscar Polk in the classic 1939 motion picture “Gone With The Wind” starring Clark Gable and Vivien Leigh. 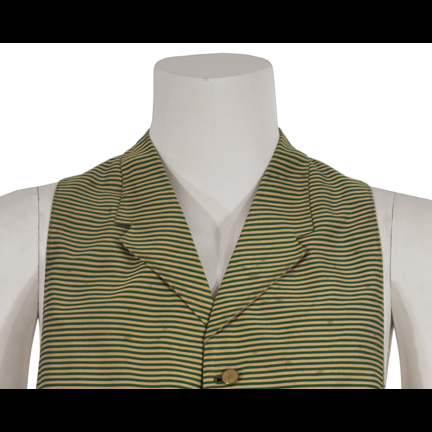 The vest is constructed of yellow glazed cotton with horizontal dark green striping and has a taupe acetate back with buckle strap. The front of the vest has gold colored metallic buttons and two faux welt pockets near the front waistline, and the interior of the garment is lined with muslin with the original Western Costume Company label sewn inside with production inventory number “23520 # 1” and actor name “Oscar Polk” clearly written in black ink. 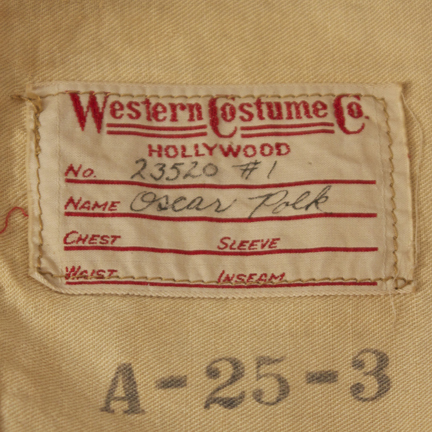 The Western Costume inventory number “A – 25 – 3” is also stamped inside beneath the label in slightly faded black ink. 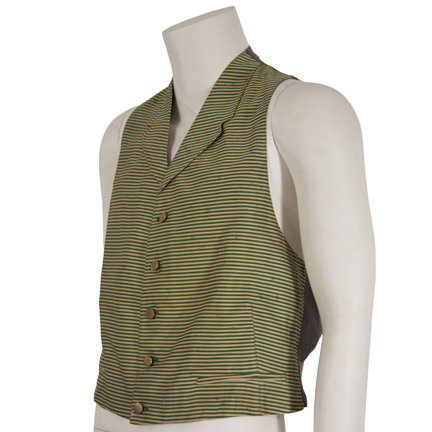 Mr. Polk appeared wearing this vest in several scenes near the beginning of the film when “Mammy” (Hattie McDaniel) spots an approaching buggy outside the window and readies the household for the arrival of Miss Ellen O’ Hara (played by Barbara O’ Neill). 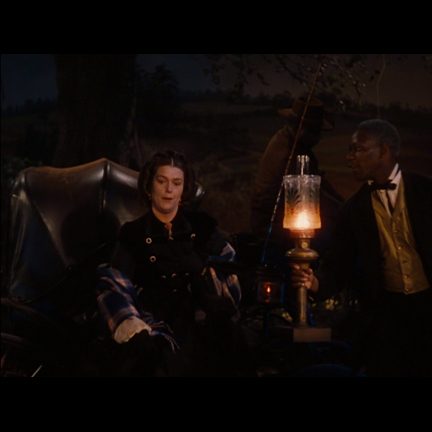 The vest is first clearly seen when Mammy asks Pork to bring a lamp to the front of the house to assist Miss Ellen in departing the buggy. While helping Miss Ellen climb out of the carriage, Pork remarks that the household was starting to worry about her, whereupon Ellen is approached by Terra’s Overseer “Jonas Wilkerson” (Victor Jory) who inquires about further work to be done on the property. Miss Ellen informs him that she has just left the bedside of Emmy Slattery (Isabel Jewell) who miscarried his illegitimate child and then brushes past him as Pork accompanies her with the lamp. 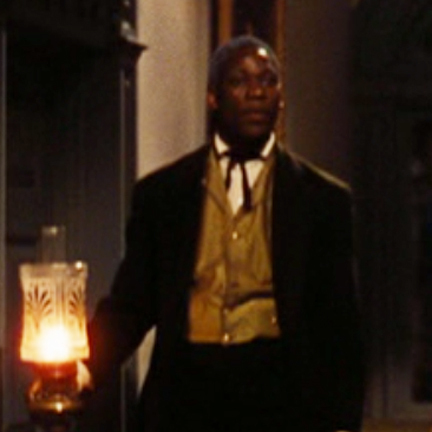 Pork again appears wearing the vest in a subsequent scene in the parlor of the O’ Hara home as the family and servants gather for evening prayers. 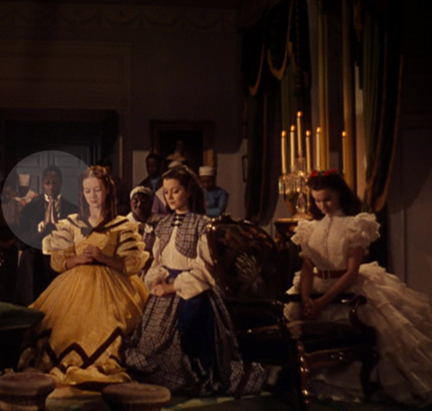 “Gone With The Wind” remains one of the most iconic films in cinematic history, and was the first color film to win an Academy Award for Best Picture, and at nearly four hours long is also the longest running picture in history to win the award. The film swept the 1940 Academy Awards with numerous other nominations and wins, including awards for Best Actress to Vivien Leigh, Best Art Direction, Best Editing, Best Director, and Best Writing, Screenplay. 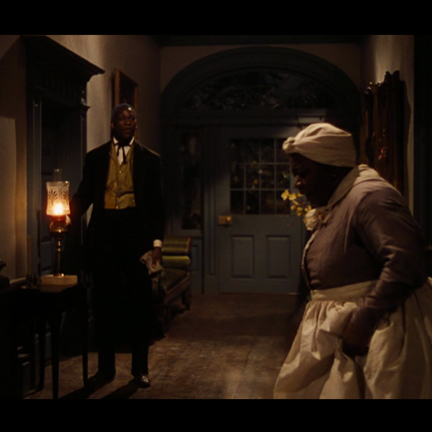 The film is also historically significant for marking the first time an African American was nominated for, and won, an Academy Award for Hattie McDaniel’s outstanding portrayal of Mammy in the film. 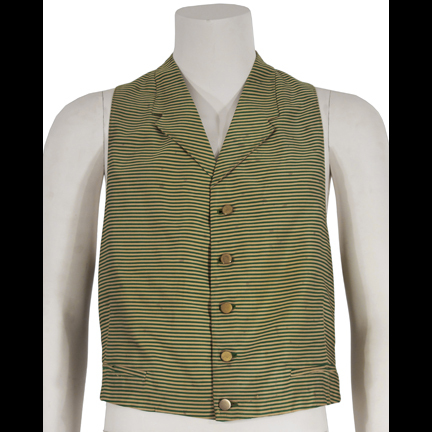 The bottom hemline of the vest has been professionally repaired by Mr. Gilberto Guzman, Master Tailor of Eastern Costume, and is in otherwise original screen used condition with some minor fading and natural evidence of age. Presented by The Golden Closet, your premier source for iconic motion picture wardrobe, props, and collectible music entertainment memorabilia.